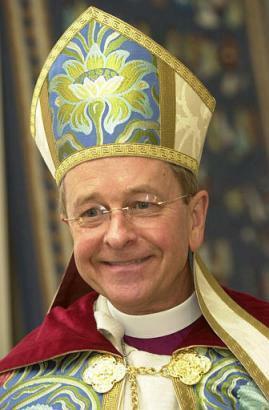 Sources have told TruthWinsOut.org today that Episcopal Bishop Gene Robinson has pulled out of a controversial symposium featuring an infamous “ex-gay” therapist. The May 5 symposium, at the APA’ 2008 convention in Washington, was dealt a major blow with the news of Robinson’s decision. TruthWinsOut.org opposed the panel because it featured Dr. Warren Throckmorton, an unlicensed psychologist who compares “leaving” homosexuality to quitting smoking.